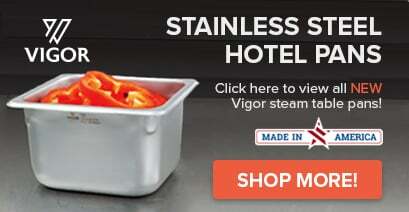 Perfect for cold bar items such as bottle drinks or salad bar essentials, this Advance Tabco DIRCP-5 stainless steel five well drop-in refrigerated cold pan unit is a must-have serving addition. 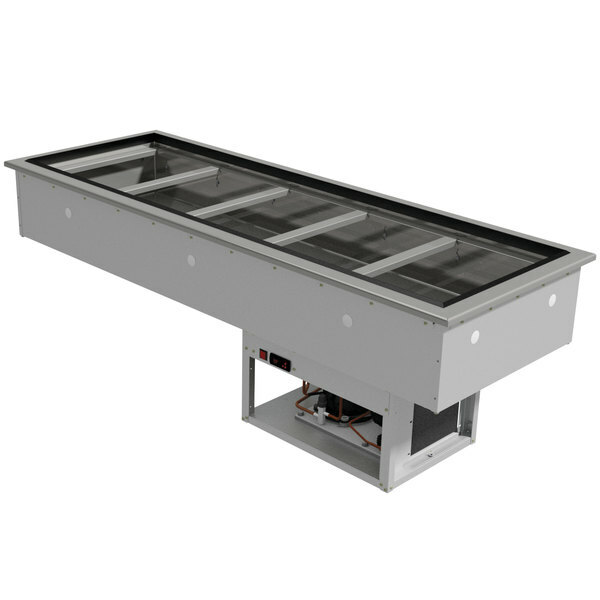 This unit includes adapter bars and can accommodate five 12'' x 20'' food pans, while a high nominal cooling capacity of 1500 BTUs per hour offers guaranteed product temperature control. Aluminum encased copper tube evaporator panels improve heat transfer by increasing contact area. Additionally, the integrated expansion valve offers efficient operation at various temperature conditions. A 1'' IPS drain is fitted to the bottom of the basin for easy removal of melted ice and water. Other features include a liquid receiver for improved refrigerant charge control, low running current, sight glass, and refrigerant filter drier that ensures the overall cleanliness of the sealed refrigeration circuit. The fully self contained condensing unit is provided with a hermetically sealed compressor alongside a digital and programmable thermostat. The Advance Tabco DIRCP-5 drop-in cold pan unit requires a 120V electrical connection.